Vaporizer Bits stocks a large and varied selection of vaping liquid products so you’re sure to find an e-liquid flavour to suit your taste! 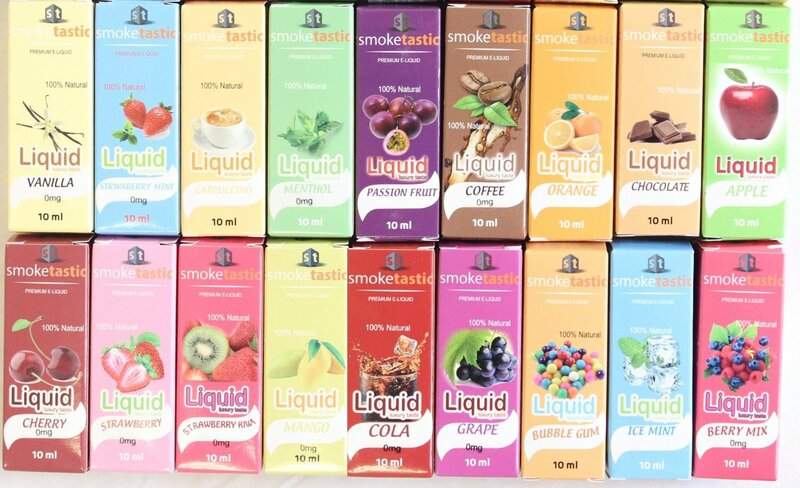 Whether you prefer the traditional tobacco leaf flavour or something fruity like strawberry flavour, we have the liquid for you at some of the best prices on the net. Vaporizers have emerged as the preferred alternative to tobacco cigarettes. Their portability, recharge and refill capabilities make them a more convenient and healthier option for smokers. Our vaping liquid is selected for its quality, safety and pleasurable vaping experience. Our experienced vapers test out and review each product before it is included in the store, ensuring you can shop with confidence at VapeBits. Wide Range of Vaping Liquid Flavours Available! Our varied selection of vaping liquid will suit any pocket regardless of your budget, we stock everything from single bottles to 5 packs and more. In addition there are different types of flavours and tastes you can choose your vape juice from. If you know a loved one who owns a vaporizer, our vaping liquid products also make an ideal present. With fast delivery and the widest selection available on the net, you’re sure to find that perfect flavour that suits their tastes. As a fairly new industry, there are some confusing and misinformation elements about vaping. The same goes for vaping liquid, at VaporizerBits we are committed to transparent information about the products in the store and what they contain, as well as the effects on the user, if any. When you need to stock up on your favourite eliquids or if you’d like to try new vaping liquid flavours recommended from a source you can trust, always visit VaporizerBits first. Our experts have years of experience in vaporizers, e-liquid and what works well. We offer objective and honest reviews that are designed to help you make the best descision on which vaping liquid is right for you. Try our vape accessories store today, you will not be disappointed!